When you support the Townsend Harris Alumni Association, you support the dreams of our students, who come to us from every neighborhood in New York City. Nearly all annual dues and voluntary gifts to the Alumni Association are restricted for scholarship or to support specific programs and activities at the High School including athletics, drama, music, publications, computer and technology, Queens College classes for seniors, and much more to allow us to be the very best. In addition, dues paying members receive many discounts on entertainment and scholastic preparation services Read more. Membership dues are collected annually. We are now in the 2017 dues period. If you have any questions about whether your dues have been paid, please e-mail thaa@thaa.org. Your dues are included in your Senior Fees. If you wish to pay your dues on-line, please click here. We accept American Express, Mastercard, Visa and Discover Card as well as Paypal. If you wish to make a contribution on-line, please click here. If you wish to direct the contribution for a specific purpose, please remember to include a note in the envelope. If you wish to make a contribution via phone, you can email us at treasurer@thaa.org or leave us a voicemail at (718) 793-0441 and we will get back to you promptly so that we can take your contribution verbally. Contributing appreciated securities is an excellent way of contributing in a tax-efficient way. The Alumni Association is equipped to handle such contributions. Please contact us at treasurer@thaa.org or (718) 793-0441 to discuss a contribution of securities. Contributions to the Alumni Association are tax deductible as the Alumni Association is a not-for-profit organization under section 501(c)(3) of the Internal Revenue Code. 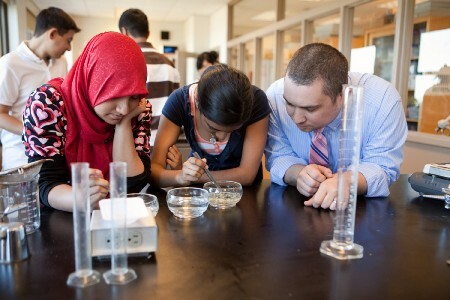 Planned giving also is a unique philanthropic tool that allows you to promote Townsend Harris High School's continued excellence while also fulfilling your own financial objectives. Please email our treasurer, Craig L. Slutzkin '91 at treasurer@thaa.org to learn about the many ways in which you can leave a positive legacy to the High School that will shine on into the future.